Two notable items are on the June 25, 2014 Zoning Board of Review agenda. RPS ASSOCIATES, LLC: filed an application requesting a Dimensional Variance and Special Use Permit in order to construct two (2) new commercial buildings: a 4,316 square foot quick-serve restaurant with two (2) drive-thru lanes and an 8,400 square foot retail store, along with any associated site improvements on the property located at 48, 50 & 54 Plainfield Street and 4, 6, 10 & 14 Atwood Street (bounded by Dike St.), also known as Lots 46, 47, 66, 98, 99, 100 & 101 on Tax Assessor’s Plat 105; Lots 46, 66, 99 100 & 101 being located in a General Commercial C-2 Zone and Lots 47 & 98 being located in an Industrial M-1 Zone. The applicant is requesting a Dimensional Variance for relief from Sections 305, 305.1(Footnote 10), 425.2, 425.2(A), 425.2(B), 604.3 and 607.3, which are regulations governing front yard setback, landscaping, and freestanding menu board signs. Further, a Special Use Permit is sought pursuant to Section 303(5.0)-Use Codes 57.1 and 57.2, to construct the proposed new restaurant at over 2,500 gross square feet and to permit operation of two (2) drive-thru lanes in the C-2 Zone. Together, the lots in question contain approximately 64,295 square feet of land area. The Appellants are appealing the Decision of the Providence Historic District Commission issuing a Certificate of Appropriateness dated May 5, 2014, concerning the proposed demolition of the existing structure(s). 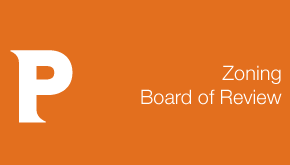 The Zoning Board of Review meets on Wednesday, June 25th at 444 Westminster Street in the First Floor Conference Room. The Olneyville item is on the 6pm agenda, the Atwells item is on the 7pm agenda. So the Olneyville decision is still in play? Do you think bringing up the apparent failure of the Family Dollar business model to the meeting will help? There’s really no way to know, I didn’t think the CPC would roll so quickly to allow this project to proceed. I’m planning to go to this one. What is the plan for the site once the building is demolished? You will need to turn a number of people on the council if you want the Olneyville project to stop. Soloman is a local business owner (and mayoral candidate) there so he might be close enough to have a valid abutter objection to these variances. Zoning rolled over for the new surface lot along North main over strong local objection. Citing the current state of zoning laws. So pester the mayoral candidates about ensuring that the new zoning will get passed cleanly with no changes to stop this nonsense. Steve, there is no plan for the parcel, my understanding is GE would prefer to demo the building themselves to identify and remediate any environmental issues there may be before selling the property.